With the sudden arrival of a high ranking official, Horace Guilder (guest star James Le Gros), to Project NOAH, Brad and Amy begin to strategize a possible escape plan with the help of an unlikely accomplice. Meanwhile, Sykes and Richards begin to question each other’s motives, and a shaky past between Lear, Elizabeth (guest star Jennifer Ferrin) and Fanning is revealed. Guest Cast: Alain Uy as Dr. Pet, Jason Fuchs as Grey, Jennifer Ferrin as Elizabeth Lear, Kecia Lewis as Lacey Antoine, James Le Gros as Horace Guilder and Brett Gentile as Winston. Air Date: Monday, Feb. 11 (9:00-10:00 PM ET/PT) on FOX. 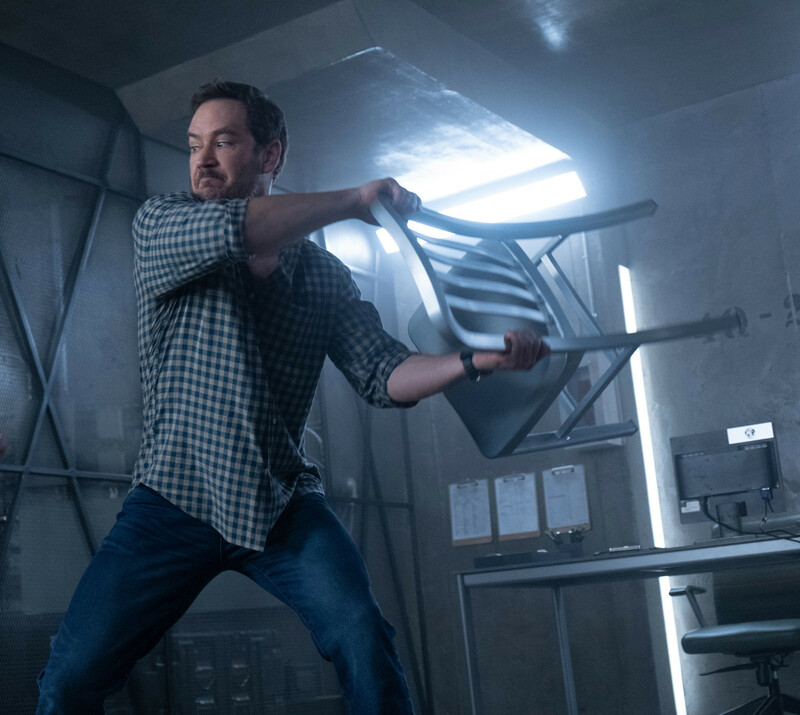 THE PASSAGE: Mark-Paul Gosselaar in the “How You Gonna Outrun The End of The World?” episode of THE PASSAGE airing Monday, Feb. 11 (9:00-10:00 PM ET/PT) on FOX. © 2019 FOX Broadcasting. Cr: Erika Doss / FOX.